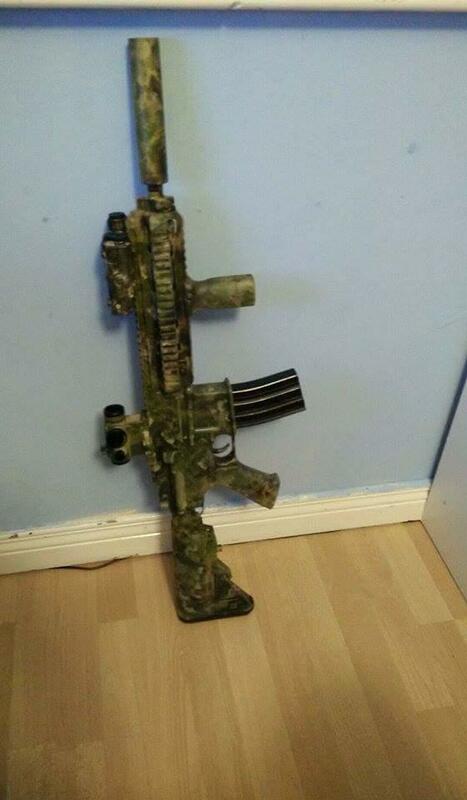 Hello, so i have hk416 on which iv done paintjob over year ago. I want to strip the paintjob off including the black paint, I want to get to the point where upper/lower receiver and rail system are bare metal(silver colour). Has anyone an idea what would work best to do so and how it should be done? By the way the whole gun is metal. Oven Cleaner and a toothbrush, but you must remove all perishables first. what do you mean by perishables but would this work for removing everything until bare metal is visible.